Sustainability is ingrained in our practice. 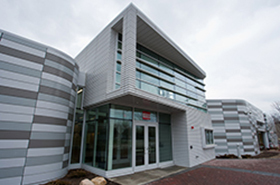 Our Columbus office is LEED Gold Certified and was designed by many of our engineers and support staff. A majority of our staff have gone a step further with supporting sustainability and are LEED Accredited Professionals (LEED AP). We also have several Certified Energy Managers (CEM), Certified Commissioning Agents (CxA), and Green Globes Professionals (GGP) on staff. Services: Upgrades to HVAC, electrical, plumbing, and fire protection systems. 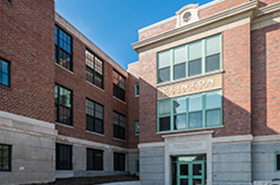 Building achieved LEED Gold Certification. Services: Mechanical, plumbing, and technology engineering design services. Mechanical system included dedicated outdoor air unit with energy recovery, high efficiency condensing boilers, oil free magnetic variable speed air cooled chiller, and rain water harvesting. 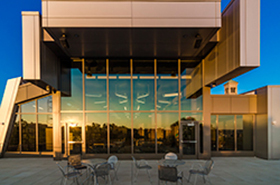 Building achieved LEED Gold Certification.